Cool New Features of Nonprofit Success Pack that you can’t afford to miss!! In today’s age of Impact, Nonprofits need to be more engaged with the constituents. 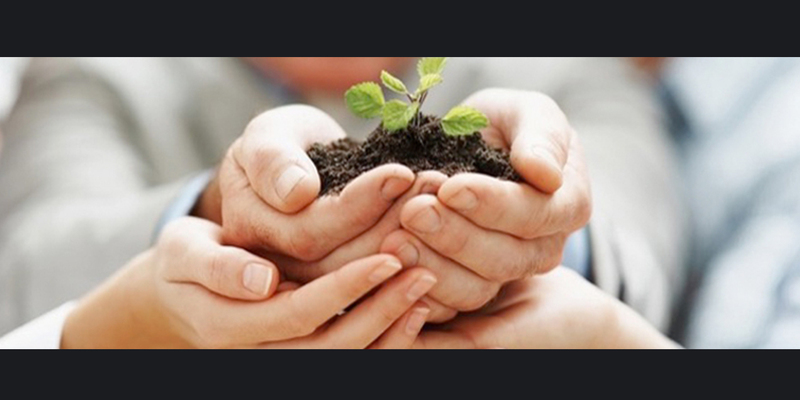 Better Engagement models and flexible technology, play a vital role in the Nonprofit success. Salesforce unveiled Nonprofit Success pack at Dreamforce as a key to Nonprofit success. Backed up by the power of community and technology, Non Profit Success Pack empowers nonprofits to manage donors, campaigns, volunteers, programs, grants and more, all in one place. It is a Set of tasks/Series of tasks (Ex. 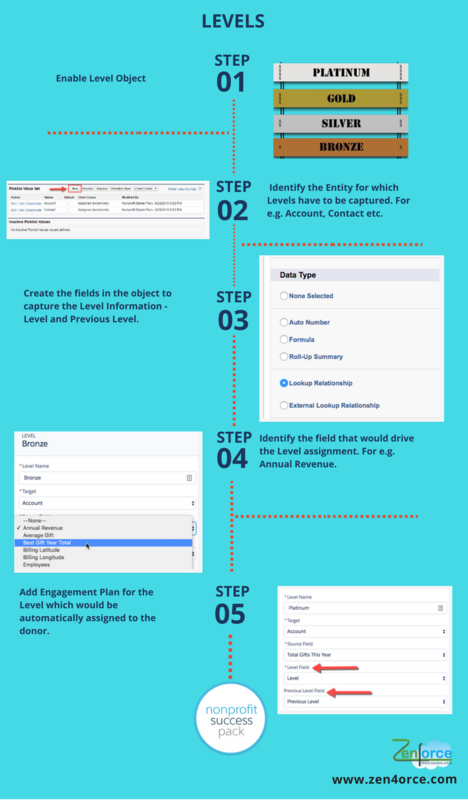 phone calls, emails, mailings) to connect with the constituents.The task list templates allow internal processes to be standardized across an organization. 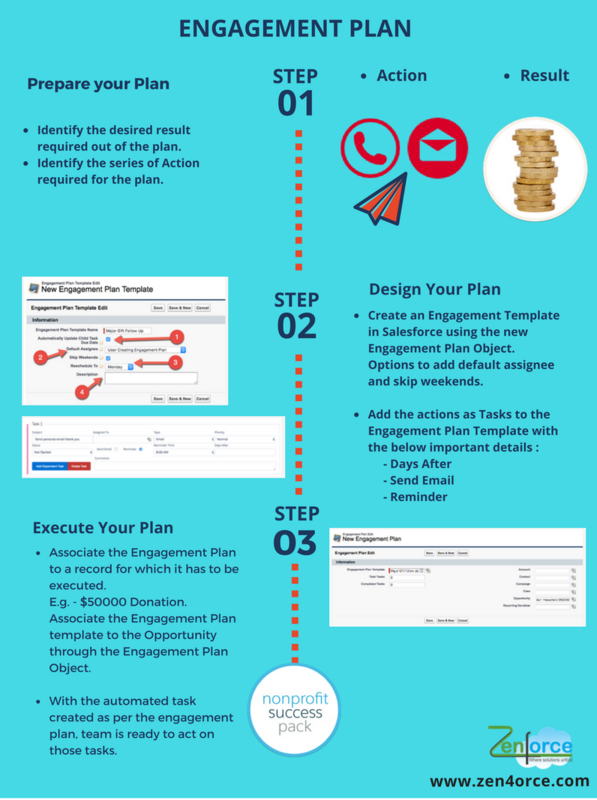 Personalized engagement plans track the steps needed to engage with different types of donors and volunteers to improve fundraising and volunteerism. Levels provide a way to track a constituent’s level of commitment and engagement based on criteria such as Total Gifts or Number of Hours volunteered. Levels work in conjunction with the Engagement plan to lay the path regarding how often to communicate with the constituent and keep them moving up the ladder of engagement. Engagement Plan tracks how engaged constituents are based on the levels defined. 1. Levels are not updated immediately but calculated on a nightly basis. The batch to calculate the levels can also be manually run. 2. Levels by default can be created for Accounts and Contacts, but any other object can also be added by adding the object name to the Target picklist field on the Level object. 3. Dependent task can be created for an Engagement Plan. 4. Tasks Status have to be manually updated once completed. If there are any dependant task, status automatically updates from ‘Waiting on Dependent task’ to ‘Not Started’. 5. Change in ‘Status’ of Task, changes the ‘Status’ of the associated Engagement Plan.